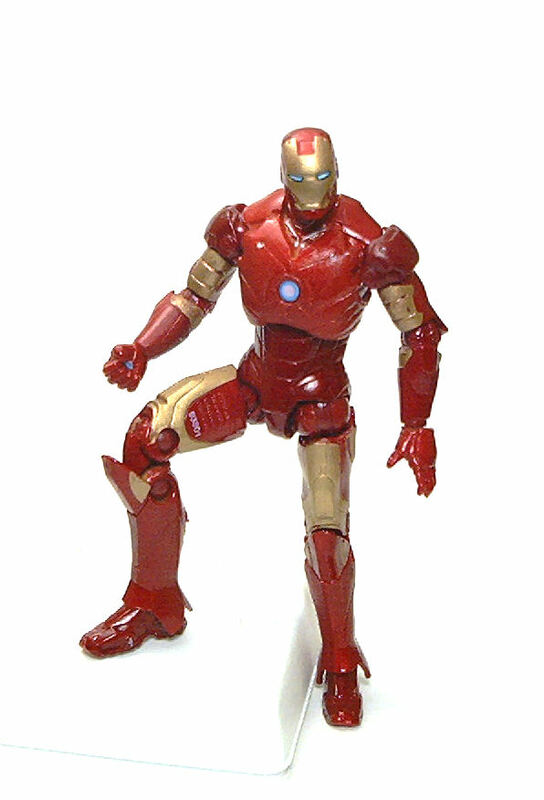 Hasbro released Iron Man Mk.3 in 2010 as part of the first series of figures in the Iron Man 2 toy line. 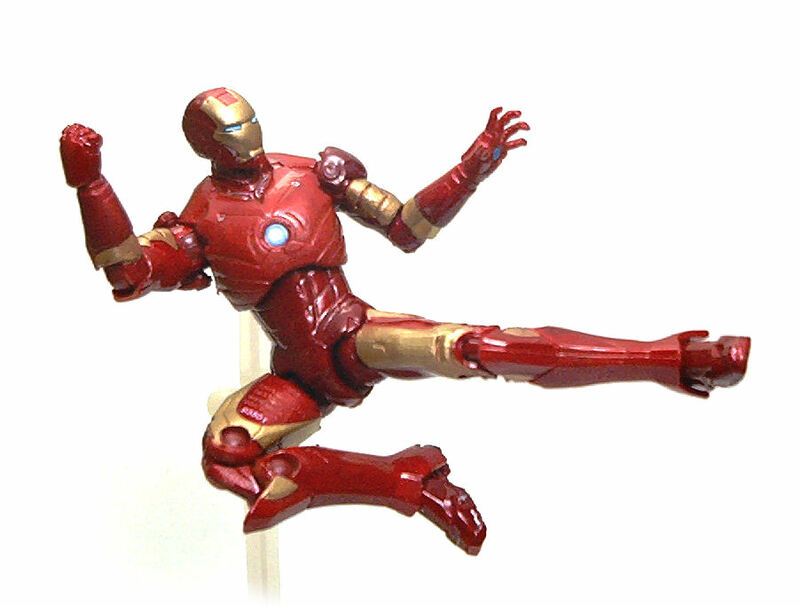 This particular release is from the Movie Series of figures, which uses the design seen onscreen for both of the Iron Man movies. 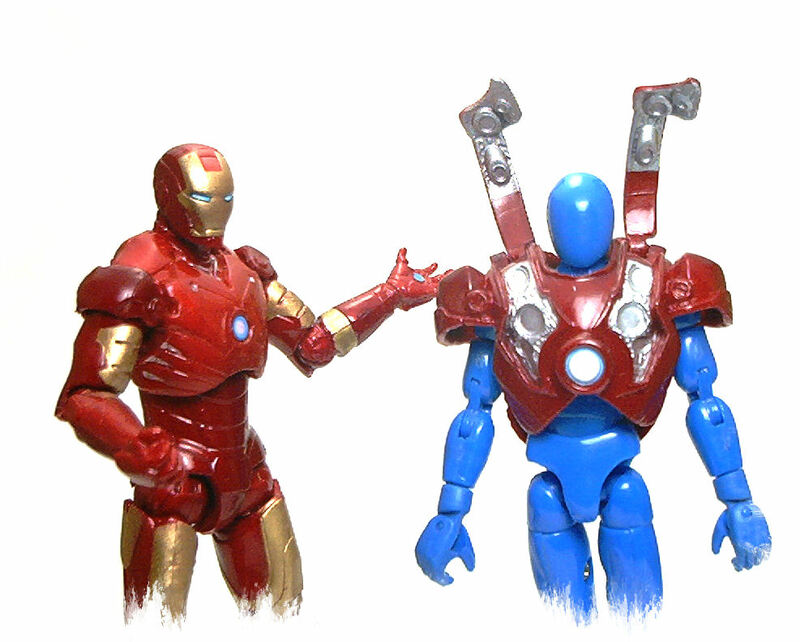 Generally, the Iron Man armors are never as massive as one would expect. In fact (not unlike the Cylon warriors from the re-imagined Battlestar Galactica TV series) any version of the suit after the Mk.1 looks way too slim for me to believe there is a regular proportioned human inside of it, but taken as a whole that is something relatively easy to overlook. The Mk.3 figure is sculpted very nicely and has very impressive detailing, with each panel and armor component sharply defined and enhanced by the paint job. The paint job is reasonably well executed, although there is enough variance from sample to sample to warrant hunting for the best finish you can get. The things you want to look out for is paint coverage and the occasional stray splotch of paint. Thankfully the eyes and the chest reactor are actually decals, applied very neatly, thus achieving a nice level of consistency all over the samples I saw at the store. • Ball jointed neck: Fairly good range of motion, including tilt. • Peg & hinge shoulders: Excellent, although the character design mandates the inclusion of clip-on, bulky shoulder pads that limit the range to the sides. • Hinged elbows: They bend to 90° easily, which is all I ask from this kind of joints. • Swivel wrists: Completely free range of motion. • Floating torso: Pretty good range of backward, forward and swivel motion. • Ball jointed hips: Slightly tight, but can manage sitting poses. • Double hinged knees: These allow the legs to fold completely without a problem. • Peg & hinge ankles: Rather limited lateral swivel and bending range, but the flare at the bottom of the greaves is flexible enough to coax into some additional stances. All of these joints work better on the smaller scale figure than they ever did on the larger scale one, with the added benefit of a peghole at the back that is compatible with most generic flying display stands. 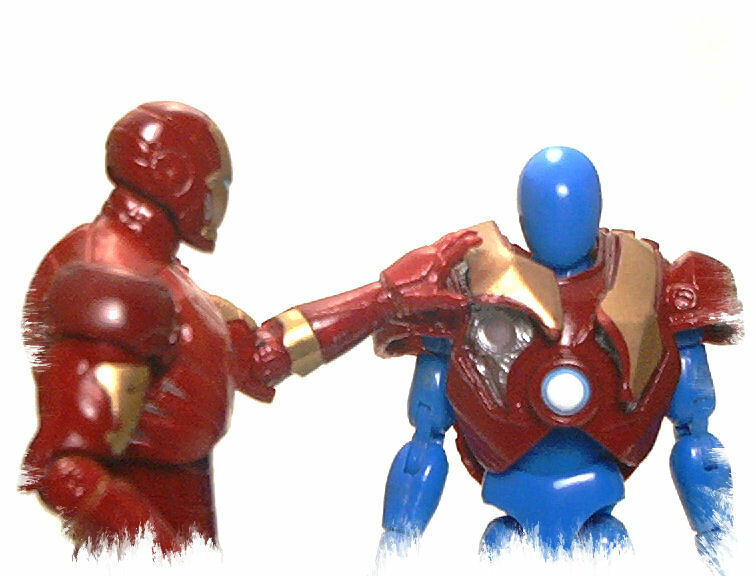 Iron Man Mk.3 comes with the left hand sculpted open, fingers spread, while the right hand is sculpted as a closed fist, so he can’t use regular accessories with either of them. 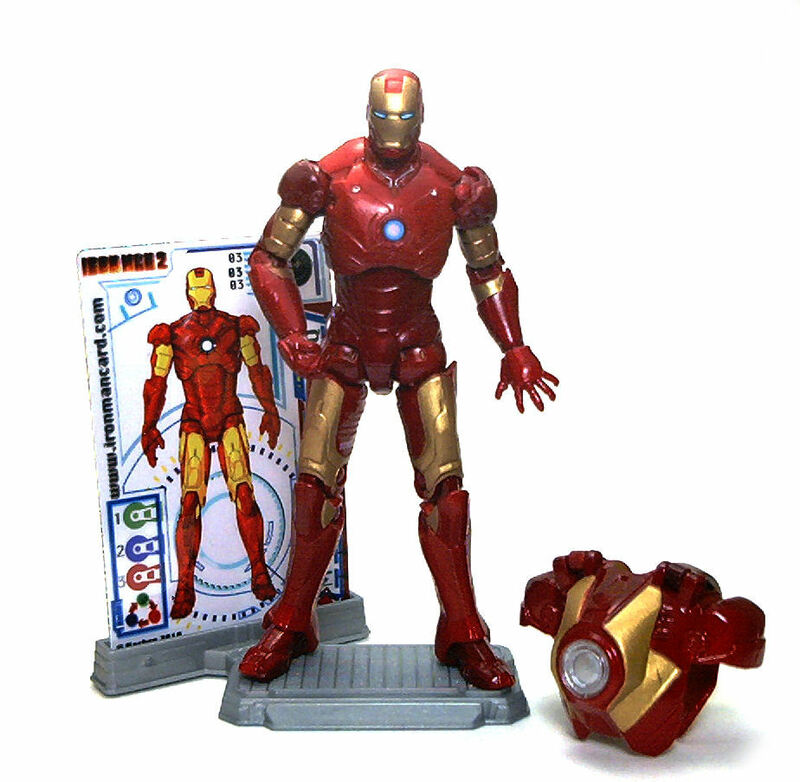 And speaking of accessories, this version of Iron Man does comes with several additions. First, there is a piece of extra armor that clips over the head and torso of the figure, adding bulk to that area. The extra armor is vaunted in the package as being “Flip-Up”, meaning it has two panels at the front that swivel upwards to show the inner workings of the add-on. And here is where things do get ugly. My figure’s accessory came with two left vents. This is something I could not have noticed at the store because the piece comes packaged facing backwards, so there is no way anyone would notice the error unless they knew what to look for. At first I thought it to be just an odd occurrence, but after examining way more closely the rest of the figures at the store the next day, it seems at least a whole production batch presents the same defect. To add insult to injury, the paint job on the armor accessory is not quite on par with the figure, having problems of coverage and stray paint masks. 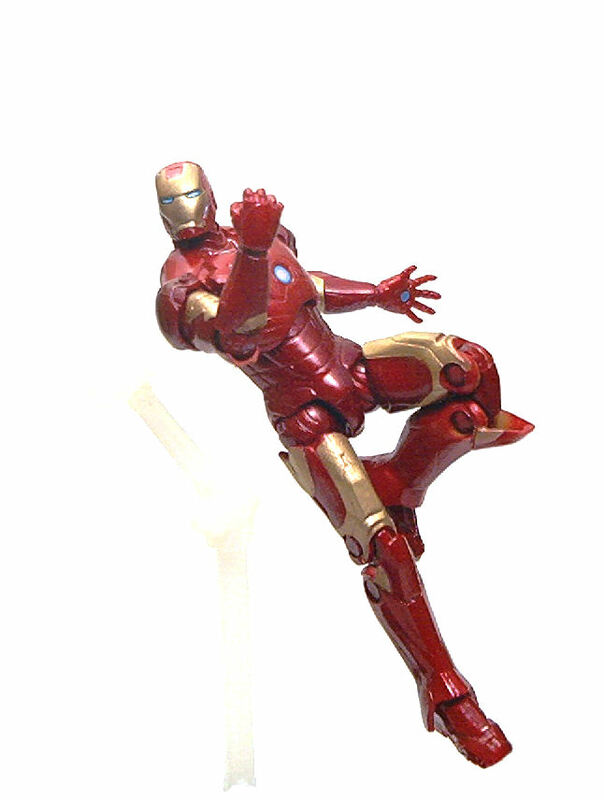 The rest of the extras packaged with Iron Man Mk.3 are much less controversial. There is a nicely sculpted display base with a special slot to support a handful of colorful “Armor Cards” at an angle behind the figure. There are three cards, one is a white paper backer card and the other two are acetate cards that, when superimposed on the backer, produce a completed image of the Mk.3 armor suit, as well as a series of stats, which I guess are related to some sort of game. 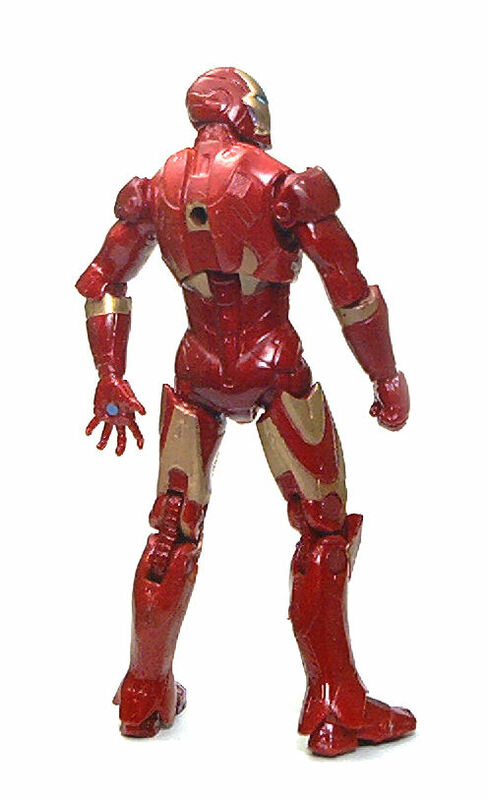 So, even though The Iron Man Mk.3 figure is, by itself a really outstanding figure to have, it’s flair is dimmed somewhat by the issues with the extra armor. Knocking points from the figure for this might appear to be rather unfair, but so is paying good money for faulty items. Otherwise I’d add 5 points to the score. I've been collecting action figures since the original Kenner Star Wars days. Nowadays, I still collect pretty much anything that catches my eye. Tough luck on the vent piece. You should send them an email and see if they will replace it. I know people are going to ask, so I’ll get it out of the way. What’s the blue figure? And what stand are using with him? The blue mannequin there is a Material Force Microman, a sort of “blank” figures Takara used to make to serve as basis for custom characters. the flying base is just one from the Marvel Superhero Showdown figures that toy Biz made a few years ago. The arms work really well with these new figures, but the base usually comes engraved with the face of other characters, like Dr. Doom or Spiderman. great review for a good figure. sure the newer models look good and handle well in the 4″ scale, but my heart has always been for this model. though i enjoy the first movie 6″ version, i like how this smaller scale is almost like the 6″ version. it would be nice to find a good one with nice paint applications. good stuff though! It’s a shame the quality of the mk 3 figure is so poor when compared to mk 1 and 2. I hope mk 4 is an improvement. 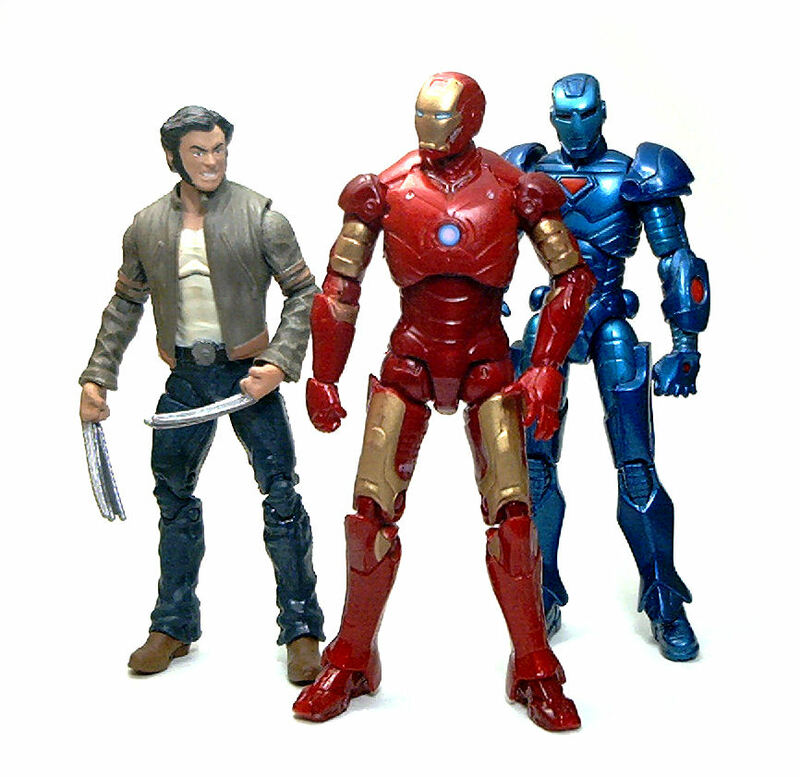 TVandFilmToys.com values our relationship with our readers, and we strive to be a trusted source for valuable information to action figure fans and collectors. In an effort to provide full disclosure, we’ve provided this brief overview of our policies regarding affiliate marketing. We do occasionally make recommendations and post links for which we may receive affiliate compensation — either as a commission for each sale or some other form of compensation. However, advertisers do not influence the editorial content of this website. Most of the links contained within the pages of this website offer no affiliate compensation at all, but are offered for their merit to our readers. © 2019 TV and Film Toys. All rights reserved. Premium WordPress Themes.